I was one of the oldest, at age 62, to complete the recent NorCal Aids Challenge, (NCAC), fundraising bike ride covering 330 miles of roads north and around Sacramento, CA. Cycling in my senior years has been limited as arthritis pain pretty much halted riding a conventional bike. My first solution to overcoming the various wrist, neck, and back pain was a two wheel Rans Startus XP that did a lot for me in making riding comfortable again. After a few warm up rides with the gang in Northern CA I discovered it was not fast enough and I was more than challenged on hills. 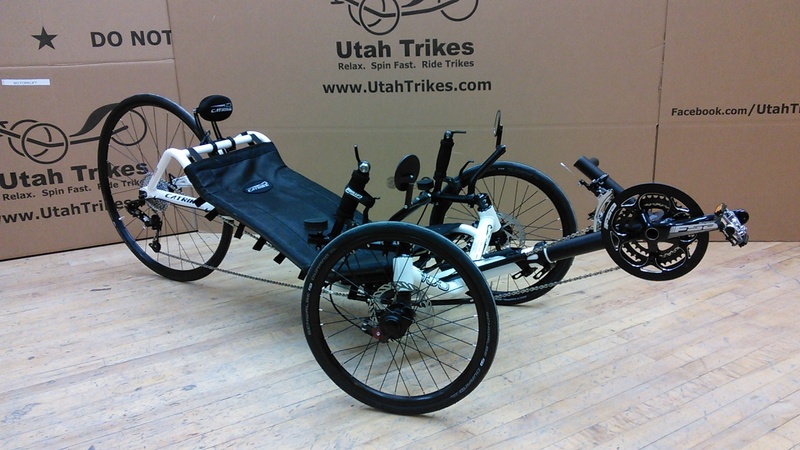 I researched diligently about faster recumbents and found several recommendations for Catrike tadpole style recumbents and guess what -- there is a dealer in Payson, Utah. 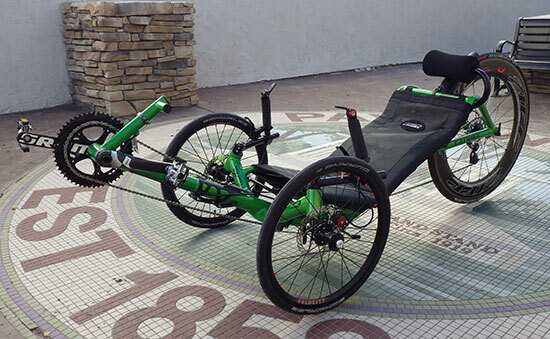 After a phone call, some serious conversation and a test ride the Catrike 700 was the machine for me. The Catrike Expedition might have been a slightly more comfortable commuting alternative but I needed the speed and any advantage that I could gain from the 700. Many of the folks I rode with were half my age and experienced riders on the NCAC. Weather in Northern CA can be unpredictable and this year we had almost constant winds blowing adversely in front of us. A few riders on traditional bikes asked if I was as affected by headwinds. The answer was obvious. On a couple long stretches I pedaled into strong head winds either keeping up with or passing stronger riders than I. At every rest stop along the way chamois butter was passed out to my friends on the traditional bikes. None for me!! 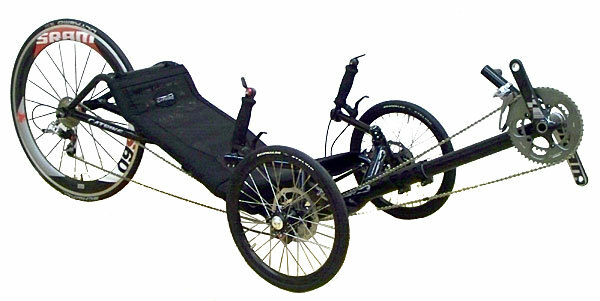 I was very comfortable sitting and pedaling for up to 8 hours a day in the Catrike. The rolling hills on the course proved to be a challenge to my senior legs but coming down the backside of any hill no one was faster. Several times I was hitting 42+ mph and passed everything in sight. Stability was a major advantage for me neither worrying about any debris in the road or loose gravel, neither the crossing of any wet RR tracks. Pulling into a rest stop I never had to hunt for some place comfortable to sit, just plopped in the Catrike with shoes uncleated from the pedals. One day's ride was 92 miles and I am certain 70 of those were into headwinds. A few riders put their bikes in the SAG wagons and opted to be ferried into the final stop for the day. I persevered on the Catrike and made the entire distance. During the awards segment of the evening's program I was noted as the most inspirational rider and presented with a hundred dollar gift certificate. 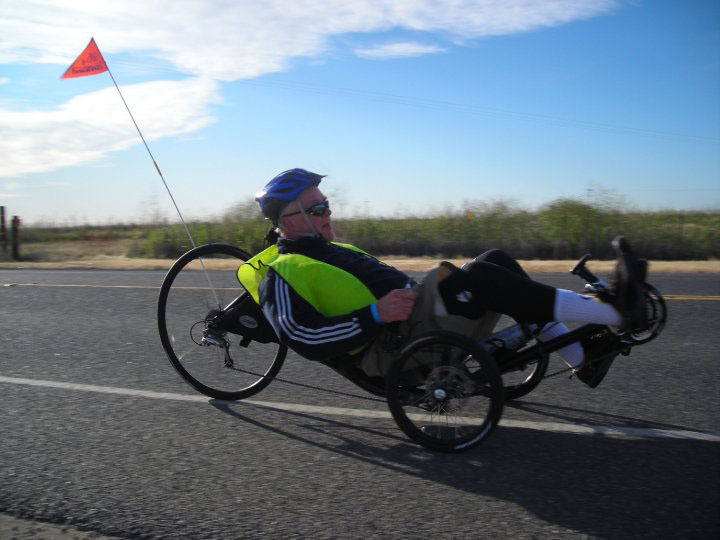 My secret was the very comfortable and very fast Catrike 700 that allowed me to even compete. The people I rode with inspired me to give it my best as some were overcoming health and other challenges of their own. The fourth and final day was an easy 50 miles into downtown Sacramento and up on the steps of the state capitol. All together more than 50 riders raised more than $175,000.00 for assisting with food banks, clinics, medical care, and more for those afflicted with HIV/AIDS in five Northern CA counties. For me it was a life changing experience and would not have been possible without the sweetest ride I have ever pedaled anywhere. You can visit to the NCAC web site for more information about this annual ride. If you are looking for a great ride with the greatest people ever over four days in Northern CA then sign up and ride and ride and ride. They are still taking donations for a few more days I undersand as well. Thanks Ashley for the great shop you run, providing me with incredible service, and setting me in this incredible riding machine.